Over 15,000 fires occur annualy because of a clogged or dirty dryer vent. 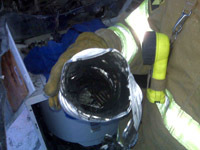 By having your home dryer vent cleaned annualy, you can help prevent a fire. Don't become a statistic, contact us to Have Your Dryer Vent Cleaned Today! Why Do I Need to Clean My Dryer Vent? In addition to eliminating a fire hazard in your Michigan home, dryer vent cleaning helps the dryer to operate more efficiently, reducing your energy costs. Optimal airflow to your dryer, may also extend the life of your dryer. Ensure your dryer is receiving the proper air flow. Inspect your dryer vent equipment (hoses, connectors, etc.) for damage, and discuss replacement options. Discuss the steps you can take to keep your dryer vent clean. 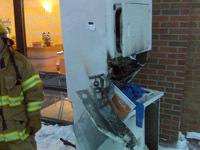 How Does a Dirty Dryer Vent Cause a Fire? Normal usage of your dryer, creates lint and dust. If not cleaned, these debris build up in your dryer vent hose, preventing proper airflow from your dryer. 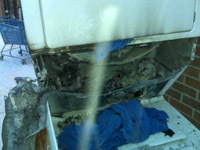 Without proper airflow, the dryer overheats and the lint catches fire. Any nearby combustible materials, help fuel the fire. Fortunately, it's very simple to prevent a fire in your home by having your dryer vent cleaned.